These unique Topeka breweries have brought something new and exciting to the city. These craft breweries have become destination places for locals and visitors alike. 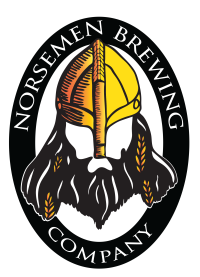 At Norsemen Brewing Company, located in the NOTO Arts District, you won&apos;t find any pillaging or plundering, you&apos;ll only find tasty craft brews that belong in Viking lore. Sipping a craft beer in the sophisticated comfort of our taproom will make you feel like you have finally found Valhalla. Opened in 2016 and recipient of multiple awards including Small Business of the Year and “Best of Topeka”, try one of their creatively named, small batch hand-crafted beers, like the Odin&apos;s One-EyePA (IPA) or Shield Maiden Wheat. Connect with them on Facebook, Instagram or Untapped. A New England style IPA brewed with lactose and aged on Madagascar vanilla beans and cherries. It&apos;s hazy, smooth and juicy! Vienna lager is a style of lager beer that was originally brewed in Germany starting in 1841. Its popularity in Europe eventually faded, but Austrian brewers who emigrated to Mexico revived the style in the late 19th century. House IPA made with 6 varieties of hops provides great aroma and the right amount of bitterness. This basset hound inspired brewery in southwest Topeka has been quenching beer enthusiasts thirsts for two years and still going strong. Their staff really enjoys playing with taproom experiments which have resulted in some interesting flavors like a s’mores flavored porter and a chili porter called Fire Hydrant Stout. Connect with them on Facebook, Instagram and Untapped. The Blind Tiger Brewery & Restaurant is named for the Prohibition-era custom of illegal drinking establishments displaying stuffed tigers or china tigers to alert potential patrons to the availability of illicit alcohol after hours. In southern dialect a “tiger” was a roaring party. These “tigers” were “blind” because the authorities, at least officially, did not know they existed. They keep at least six flagships and seven rotating seasonals on tap, to the tune of about 1300 barrels a year. Their brews have gathered 21 national and international awards over the past 15 years. Connect with them on Facebook and Untappd. Brewed to the German Hefeweizen style then filtered to be crystal clear. A great summer beer! A collaboration between Blind Tiger, Happy Basset, and Norsemen resulted in this tasty beer. This amber colored lager has a toasty caramel malt aroma and flavor. Bitterness is medium. Hop aroma and flavor is low. Tickets are going fast and aren&apos;t expected to be available at the gate. 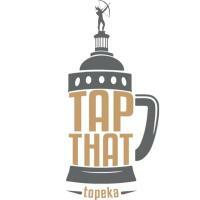 Don&apos;t miss out on this cool opportunity to sample these beers and many more at Tap That Topeka!